On Saturday February 27th, my buddy Red (redbeerd9er on Twitter) and I celebrated his birthday with an all-day herf at our local B&M, House of Cigar. We had just finished smoking a fantastic newly-released cigar (I have something special coming up for that review, so more on that soon) when Red dove into the walk-in humidor and surfaced with this: the Illusione Cigars Number 23 (Culebra). He said that it was his birthday and he wanted to share one of these. Who am I to turn down someone's birthday wish? So we untied it and lit it up. Culebras are always crazy-looking cigars. I'm not sure how they bend them that way and when you smoke them, I'm not sure how they burn straight, but they do. The Illusione no. 23 had a very nice dark chocolate wrapper that had some pretty big veins. The un-lit aroma from the cigar was sweet and had a slight barnyard smell to it. After clipping the head and taking a few cold draws, I could tell that this no. 23 was very tight. It didn't have much flavor on the cold draw and the resistance was very troublesome. This first third of my Illusione no. 23 tasted great. The problem was the draw. This cigar was so tight that pulling any smoke through it took four or five puffs. Red noted that it was like trying to drink a McDonald's milk shake. When I did get smoke through it, I was tasting a really nice leather flavor, mixed with some very mild white pepper notes. The smoke had a thick creamy texture to it that coated your palate for a long time between draws. The body was a solid medium. I had hoped that the draw would free up after burning the cigar past the first bend in the Culebra shape. Unfortunately, that didn't happen. This stick was plugged. Again, when I did get smoke through it, I got a great smooth leather taste mixed with a stronger white pepper flavor and some mild cocoa notes. The body had picked up a bit and pushed more into the full range. I didn't get far into the final third of my Illusione 23. The draw was so tight that I had to put the stick down. I was constantly relighting, trying to get it to smoke and get those great flavors back. During this process, the cigar just got too hot. The only thing I tasted was an unpleasant, over-powering spice. Would I buy it again? 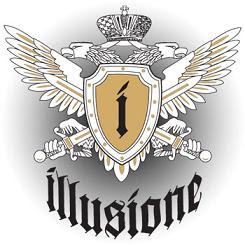 I have really liked everything I have smoked from Illusione until this cigar. With that said, I would buy this cigar again (I didn't buy this one) and hope for one that was not plugged. The flavors were really good when I did get smoke and right on par with all of the other Illusione sticks. I think it warrants another shot sometime soon. The best part about this stick today was sharing it with a friend on his birthday. For that reason alone, I really wish it would have performed better. Would I buy a box? Culebras are more of a novelty cigar so I'm not sure I'd buy a box of them. However, with only 3 in a box, I might get one and share them at another special occasion.